If you thought Matt Hawkins and Rashan Ekedal had run out of ideas for Think Tank, then maybe you should think again. In fact, the two are planning to team up for another go-round in Think Tank: Creative Destruction #1, set to debut this September 23. 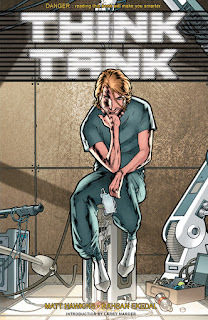 In Think Tank: Creative Desrruction #1, an unknown enemy savages the technological infrastructure of the US. Panic and conspiracy theories spread as David Loren and his misfit science team continue work on the TALOS project, trying to make “Iron Man” suits a reality in California. Think Tank: Creative Destruction #1 (Diamond Code: JUL150619) hits stores on Wednesday, September 23rd. Cover B by Ekedal can be ordered with Diamond Code JUL150620. The final order cutoff for retailers is Monday, August 31st. Full press release below. Bestselling writer Matt Hawkins (TALES OF HONOR) and artist Rahsan Ekedal return to the critically-acclaimed Top Cow series in THINK TANK: CREATIVE DESTRUCTION #1, set to launch in September. 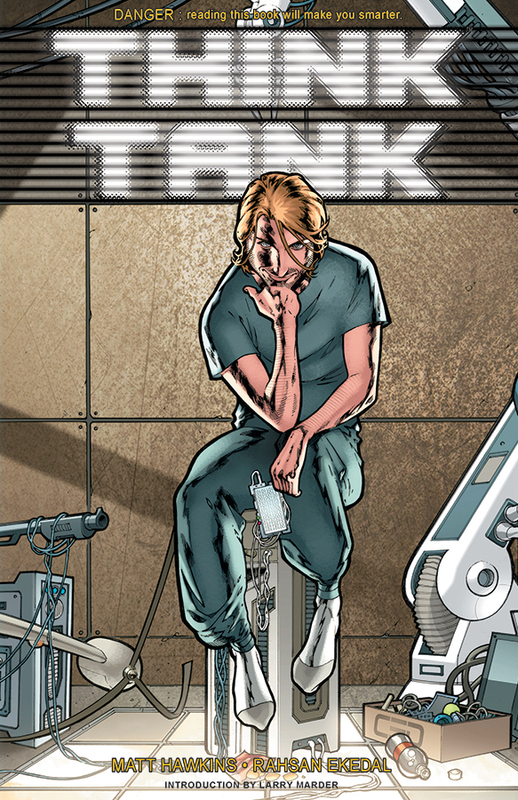 In THINK TANK: CREATIVE DESTRUCTION #1, an unknown enemy savages the technological infrastructure of the US. Panic and conspiracy theories spread as David Loren and his misfit science team continue work on the TALOS project, trying to make “Iron Man” suits a reality in California. THINK TANK: CREATIVE DESTRUCTION #1 (Diamond Code: JUL150619) hits stores on Wednesday, September 23rd. Cover B by Ekedal can be ordered with Diamond Code JUL150620. The final order cutoff for retailers is Monday, August 31st.